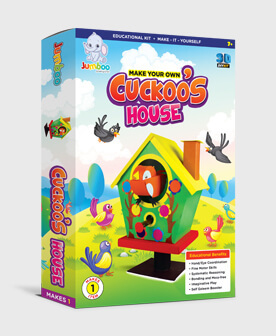 While kids are studying more about Dogs, Cats, Cow and Rabbits and creating their own imagination about the domestic animals about their behavioral habits and qualities. 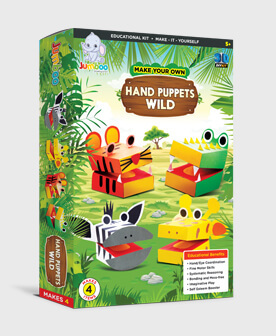 Jumboo create a range of Hand puppets which are made completely out of paper and its fun to create for the kids. 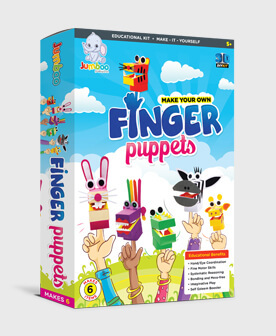 Move the kids away from gadgets and let them think and explore the infinite possibilities this toys can provide, its not only they would have to make this puppets by themselves but they are also equally responsible to create a story board and present a puppet show. This build confidence, presentation skills and removes the fear of presenting in front people. Let the brains work and let me come out with the ideas and thoughts. 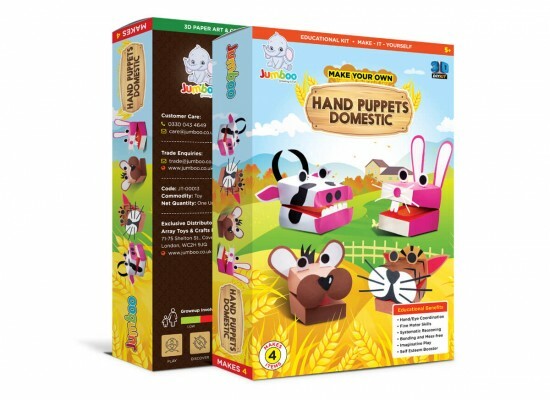 This hand puppets are creatively designed in a very easy format where it folds and just two areas to join helps assemble the main structure of the puppets and they are ready to be decorate with the detailing of each of the domestic animal. 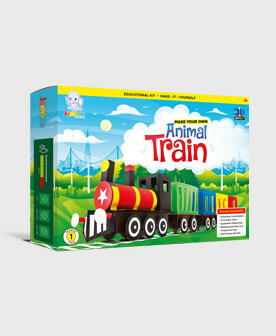 Ask your kid to create a story around the domestic animals and teach them how each of the domestic animals sound, this will help the kid learn more about the animals and create a beautiful creative story around the puppets.